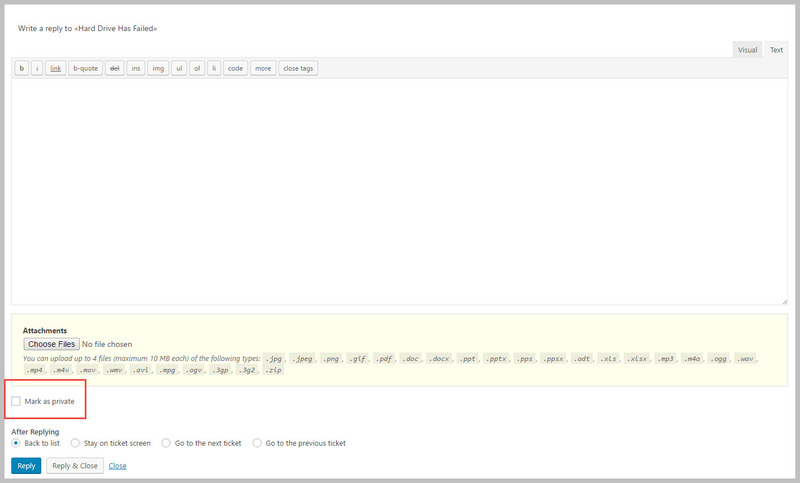 Have you ever wanted to use your tickets as a knowledge base that your users can search for answers? Now you can! 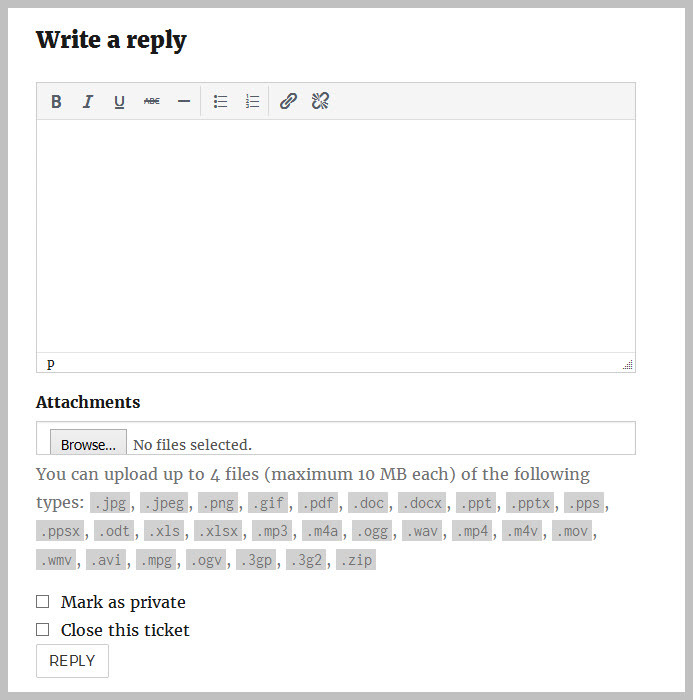 A public searchable archive of your old tickets can reduce the number of tickets you get as many customers are already conditioned to search for information before sending a support request. 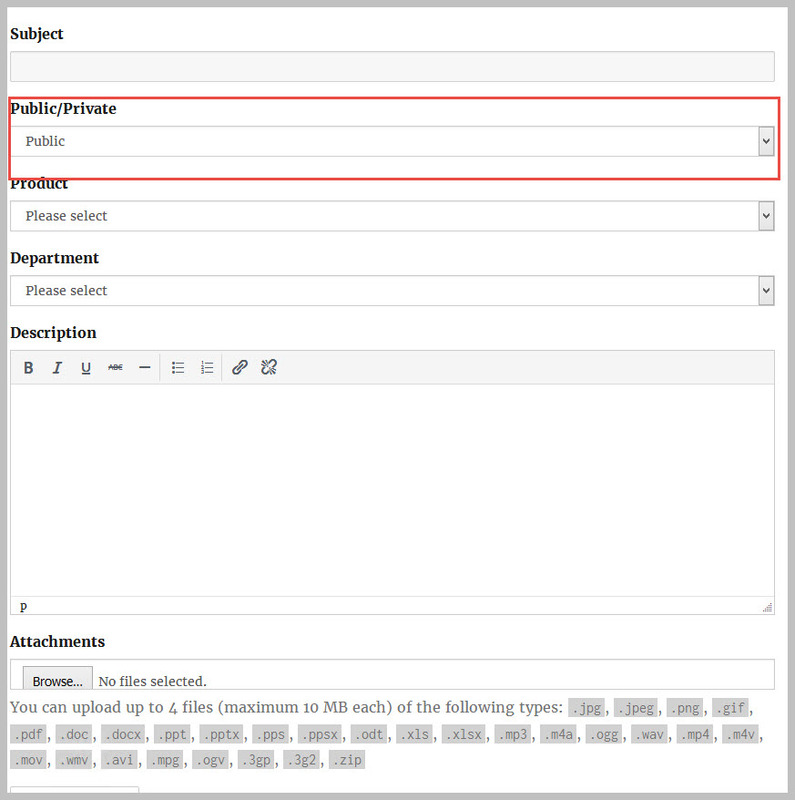 Your admin can also lock the page to a single style. If configured, the end user can choose to set a ticket as private. 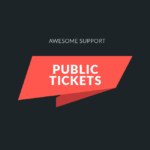 Reduce your support burden today by adding the Public Tickets add-on to your site! 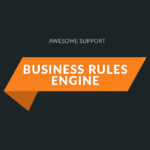 Looking for a full suite of FORUM capabilities? 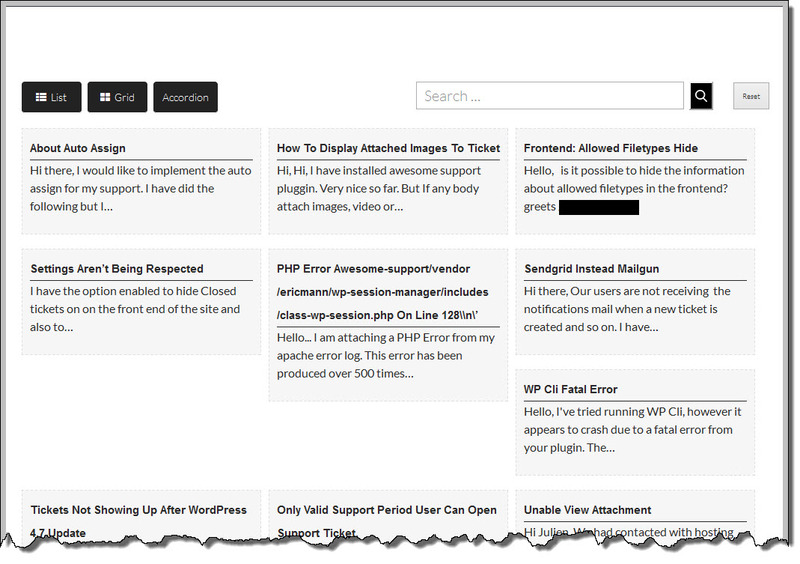 If so, we recommend you check out the SIMPLE:PRESS forum plugin. 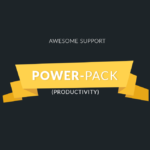 Is your customer support software flexible enough? Fix: A CSS issue with the use of "bullets". Fix: The show public/private flag option was not being respected for replies on the front end. Fix: The show public/private flag option would turn off the field on the back-end as well if it was turned off in settings. It should only be turned off on the front-end. Fix: Show public/private flag in ticket list wasn't being respected. ENH: If user is logged in then display their name if they have an interest in the ticket/reply even if name is set to be hidden. ENH: If agent is logged show their name on the ticket even if name is set to be hidden. ENH: If admin is logged in always show all names even if name is set to be hidden. Fix: incorrect variable name in translation template function in main file.